As your fellow actor walks offstage, you turn and peer past the blinding stage lights. 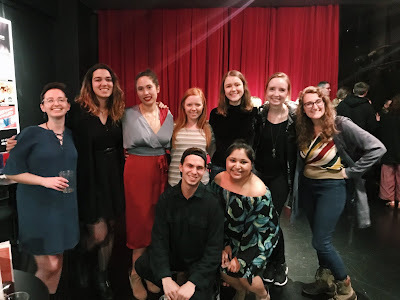 You take a breath, step forward, and do one of the most dangerous and thrilling things possible in theater: tear down the fourth wall and talk to the audience. 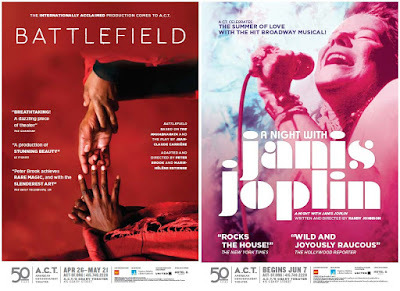 Artwork for Battlefield and A Night with Janis Joplin. For Battlefield director Peter Brook, the connection between an actor and the audience is what theater is about. It has been the driving force behind his theatrical works for the past 40 years. It is what makes his plays work on a blanket on the streets of an African village, in his crumbling theater in Paris, and in San Francisco’s Geary Theater. 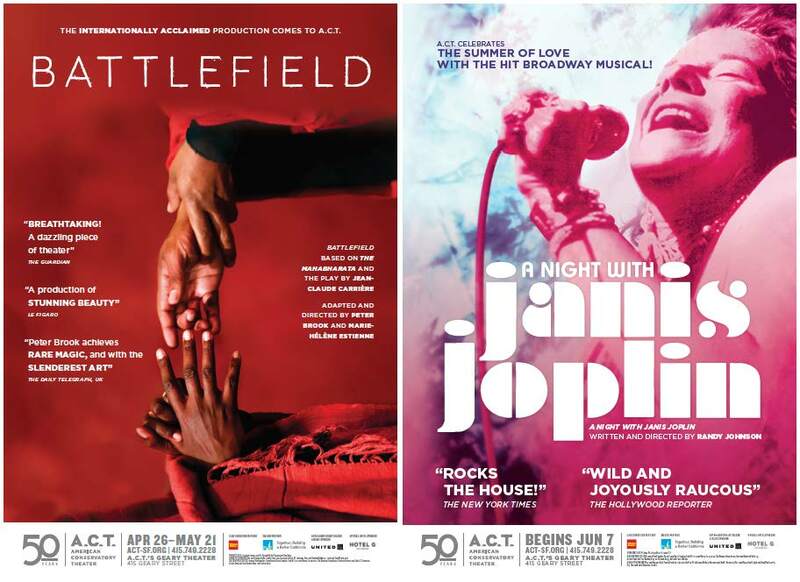 Battlefield runs through May 21 and A Night with Janis Joplin runs June 7–July 2 at The Geary Theater. Click here to purchase tickets through our website. Want to learn more about the creation of these two plays? 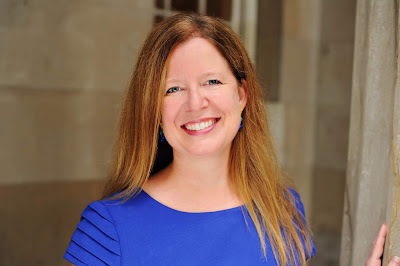 Click here to purchase Words on Plays, A.C.T. 's in-depth performance guide series.